Verdi's grand opera, written for the opening of a new opera house in Cairo, is so much more than the Triumphal March. Verdi was one of the greatest composers the world has ever seen, dominating the Italian opera scene for most of his adult lifetime. He was born in a small village near Parma, Italy to a poor family in 1813. By the time he died in 1901, his fame was such that more than 200,000 people lined the streets at his funeral to pay him tribute. How do you know you’re listening to Verdi? Verdi wrote big, beautiful melodies and expressive, dramatic orchestral music. As a composer, he was always seeking out strong subjects, demanding his librettists create realistic, human characterisations. He had a special gift for taking a character marginalised by society and putting them centre stage — whether it be a courtesan in La Traviata, a hunch-backed jester in Rigoletto or an enslaved Ethiopian princess in Aida. Egypt needs a hero to lead their army, and the High Priest has chosen Radamès. Through victory in battle, Radamès hopes to win the hand of the beautiful slave girl Aida – handmaiden to the princess Amneris, and secretly, an Ethiopian princess. The Triumphal March — big, bold and brassy, this glorious tune celebrates the Egyptian triumph over the Ethiopians in war. It’s one of the most famous pieces of classical music in the world — you might never have seen Aida, but you’ve probably heard the march. There is actually no authentic sampling of Egyptian or African tunes in the score — Verdi creates an Eastern “feel” at the end of Act 1 in the harps (it sounds a little like what you might hear a belly-dancer perform to), and again in the famous Nile scene, where a flute plays a rippling melody line, rising in trills and leaps. [Spoiler alert] Entombed beneath the earth, as the lovers fade away, the music also seems to fade out, with the orchestra getting softer and softer as they perish. Accustomed to receiving commissions from Paris and Milan, Verdi must have found it refreshing to receive a request from the Khedive of Egypt for a new opera to celebrate the opening of the Khedivial Opera House. As he cast around for a subject, French librettist Camille du Locle suggested a story set in Ancient Egypt, sending the veteran composer a synopsis written by the Egyptologist August Mariette Bey. Verdi was intrigued, both by the story itself and the hand that wrote it. Mariette would end up having a significant role in Aida — overseeing designs for sets and costumes. Du Locle composed a French libretto, but Verdi, still burned from the difficult experience of writing Don Carlos for the Paris Opera, decided it should be in Italian. He hired a journalist, Antonio Ghislanzoni, to translate it into Italian. With a libretto in hand, Verdi composed the music in just four months. As it turned out, delays beyond Verdi’s control meant that Aida was not ready for the opening of the new house — Rigoletto was performed instead. But two years later, Aida premièred in Cairo in December, 1871 and in Milan a few months later. Verdi did not attend the Cairo première, but directed the Milan performance. It was a resounding success — the audience called him back to the stage thirty-two times with thunderous applause! He was gifted an ivory baton, and a star made of diamonds with the name of Aida spelled out in rubies. Aida fast became a staple of the operatic canon, and today is often the subject of lavish outdoor performances. A brand new production from Italian director Davide Livermore. He is renowned for high-tech sets that create impressive, three-dimensional backdrops using sophisticated LED lighting effects and video projections. Verdi composed Aida in just four months. More than 50 years after Aida, archaeologists uncovered two horns in the tomb of King Tutankhamen — one tuned to A-flat, the other in B — two keys which feature prominently in Verdi’s Triumphal March. Verdi actually commissioned special trumpets for the Aida orchestra, made in Milan to resemble the long, straight Egyptian form. Elton John composed a stage musical of Aida, with lyrics by Tim Rice, in 1998. The composer: Verdi. Italian. 19th Century. 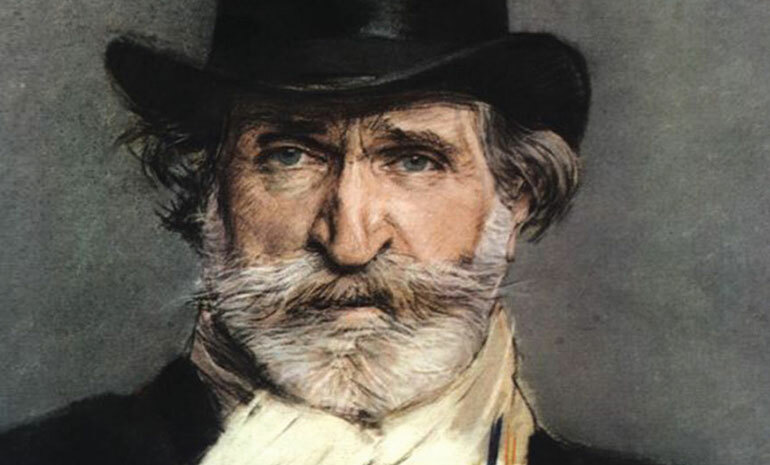 Verdi was Italy's most famous and successful opera composer. The music: A grand, impressive, triumphant score, with hints of 'exotic' melodies. The big hit: The Triumphal March, a bold, brassy affair and one of the most popular pieces of classical music in the world. The setting: an unspecified time period in Ancient Egypt. The history: Verdi wrote this opera to open a new opera house in Egypt. It wasn't ready in time, but it still premiered in Cairo. A quirky fact to impress your date: A prominent Egyptologist helped design the sets and costumes for Aida's premiere.